Milwaukee took the series opener 8-5 as a +145 road dog and they may be able to double up tonight with Zach Davies getting the ball. Davies didn’t face the Dodgers last season, but his last two back in 2017 were excellent (13 IP, 0 ER, 13 SO). Zank has his own take on the game. Get it here. The Mets and Braves will go at it again tonight in Atlanta in the third game of their four-game set. 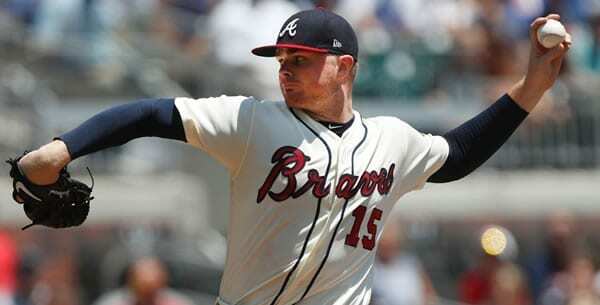 The visitor took the money in the first two, but they’ve been owned by the Braves lefty Sean Newcomb with the projected starters hitting just .121 lifetime versus him. See who Dan is suggesting you bet with his free pick on the game. The Seattle Mariners are the best team in baseball through the first two weeks of this season, but they’re lined as home dogs for the opener of a three-game series with the pre-season favorites to win the American League West. Will we see bookmakers move the chalk during the series? Darin has our MLB pick! Both teams come in struggling after getting swept in their previous series, as the Brewers dropped three to the Angels while the Dodgers lost three straight in St. Louis. Can Milwaukee salvage its road trip to Hollywood, or will Los Angeles continue the mastery of Milwaukee it showed in last year’s National League Championship Series? DJ has your baseball pick! 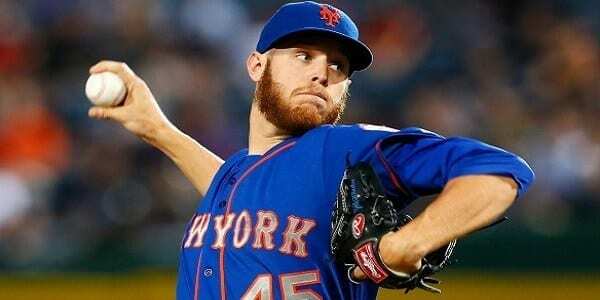 The Mets bounced back after two straight losses by taking advantage of a meltdown by Minnesota’s bullpen and scoring a 9-6 victory despite managing just five hits in the entire contest. The Braves, meanwhile, didn’t get the chance to play on Wednesday after a blizzard threatened to bury Colorado. Can the Braves bury the Mets tonight as the favorite in Atlanta? DJ has your MLB pick! The Angels erased an early deficit on Tuesday and ended up with a comfortable 11-8 victory, their second straight over the Brewers and fifth straight overall. Can the Angels get the sweep for the second consecutive series, or will Milwaukee bounce back and salvage one win of three on its trip to Orange County? Sportsbooks have the Brewers opened as -141 favorites. After a slow start to this season the Houston Astros are suddenly hot, and just came from behind to beat the Yankees Monday night. Houston is now a heavy favorite with online betting sites for the middle game of this three-game series Tuesday night. Darin Zink lets us know if bettors should back the hot team or if the value sits with the Yankees. DZ gives his MLB prediction.